Dr. Stucken is a Board-Certified, Fellowship-trained Orthopaedic Surgeon who specializes in arthroscopic surgery and sports medicine. 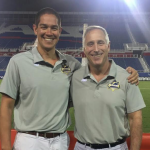 He is the head team physician of Boca Raton’s Major League Lacrosse team, the Florida Launch. He is a graduate of Cornell University and received his M.D. from the Boston University School of Medicine. He then completed his internship at Boston Medical Center and Orthopaedic Surgery Residency at Boston University where he served as Chief Resident. Following residency, he completed a Sports Medicine Fellowship at the Rothman Institute at Jefferson University. There he was team physician for the Philadelphia Eagles, Phillies and Flyers professional teams, as well the college teams of St. Josephs and Villanova. 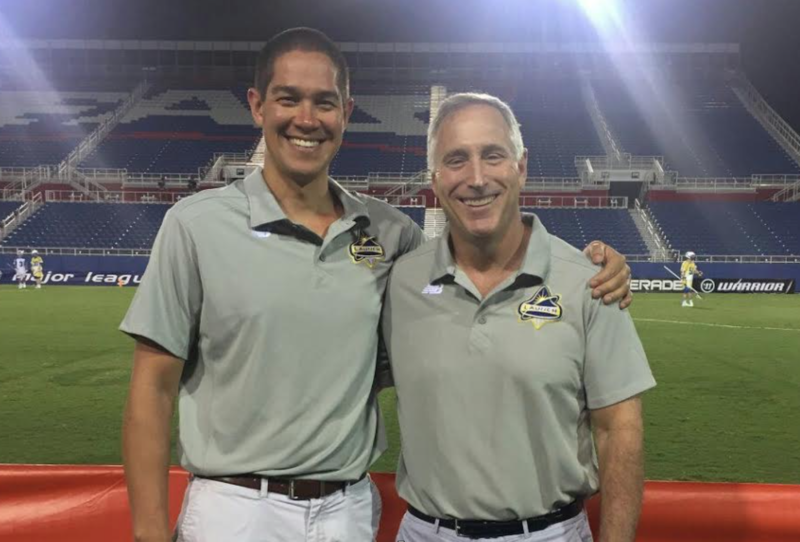 Here in south Florida, he takes care of the professional lacrosse team as well as local high school athletes. Dr. Stucken is one of the only surgeons in Palm Beach county to perform all-arthroscopic rotator cuff surgery, leading to earlier recovery and return to function with less pain. He manages all types of shoulder injuries, from dislocations to rotator cuff tears to fractures. He is able to surgically repair many different injuries of the shoulder through minimally-invasive arthroscopic techniques, but also performs shoulder replacements as well as complex revision surgeries. In addition to shoulder surgery, Dr. Stucken also performs arthroscopic surgery of the knee. Ranging from ACL reconstructions to cartilage transplantation procedures (autologous chondrocyte implantation, osteochondral allograft transplantation…), Dr. Stucken has taken care of complex disorders of the knee with excellent results. He has performed several thousand arthroscopic surgeries of the knee, with most patients returning to their previous level of sports participation. Dr. Stucken is one of the leading fracture-care specialists in Palm Beach. His minimally-invasive techniques for fixing hip fractures and other extremities allow patients to return to their life sooner. Dr. Stucken fixed more hip fractures than any other surgeon in 2015, earning the prestigious Golden Gamma Award. Dr. Stucken is on staff at Bethesda Hospital, Delray Medical Center, Boca Raton Regional Hospital and several surgery centers. Olszewski D, Streubel PN, Stucken C, Ricci VM, Hoffmann MF, Jones CB, Sietsema DL, Tornetta P 3rd. Fate of patients with a “surprise” positive culture after nonunion surgery. J Orthop Trauma. 2016 Jan;30(1):e19-23. Stucken C, Flato R, O’Hagan T, O’Brien D, Ruiz D, Cohen SB, Dodson CC, Ciccotti MG, Tjoumakaris F. Postoperative Radiographs After ACL Reconstruction Are Not Cost-effective. Orthopedics. 2015 April;38(4):e339-42. Stucken C, Flato R, Cohen SB. Functional Outcomes of Anatomic Anterior Cruciate Ligament Reconstruction: Accessory Medial Portal versus Transtibial: A Single-Surgeon Experience. Orthop J Sports Med. 2015;3(3)(suppl 1). Lamartina J, Jawa A, Stucken C, Merlin G, Tornetta P 3rd. Predicting Alignment after closed reduction and casting of distal radius fractures. J Hand Surg Am 2015 Mar 12. Stucken C, Ciccotti MG. Distal biceps and triceps injuries in athletes. Sports Medicine and Arthroscopy Review. 2014;(22)3:153-63. Bishop M, Stucken C, Tang G, Maltenfort M, Ciccotti M, Freedman KB. Anterior cruciate ligament position using transtibial drilling: hamstring versus patellar tendon autografts. Jefferson Orthopaedic Journal, Vol XLIV, 2014. Treated Distal Radius Fractures: Are Our Current Predictors Predictive? Harvard Orthopaedic Journal. 2013;15:24-5. Stucken C, Olszewski D, Creevy WR, Murakami AM, Tornetta P 3rd. The preoperative diagnosis of infection in nonunions. J Bone Joint Surg Am. 2013;95:1409-12. Stucken C, Garras DN, Shaner JL, Cohen SB. Infections in Anterior Cruciate Ligament Reconstruction. Sports Health. 2013;5:553-7. Rangavajjula A, Atanda A Jr, Stucken C, O’Hagan T, Vegari D, Cohen SB, Dodson CC, Ciccotti MG, McCrossin J, DeLuca PF. Athletic performance after shoulder labrum repairs in professional hockey players. Submitted to Journal of Arthroscopy and Related Research (2013). Reconstruction with Tibial Retroscrew Fixation: Comparison of Tibial Tunnel Widening. Submitted to Physician and Sports Medicine (2013). Olszewski D, Stucken C, Tornetta P 3rd, Ricci W, Struebel P, Jones C, Hoffman MF, Sietsema D.
The Fate of Patients with a “Surprise” Positive Culture After Nonunion Surgery. Submitted to JBJS (2013).